Aluminium double glazing is the most durable window replacement you can take advantage of and you’ll instantly see a reduction in your energy bills. Replacing your old, inefficient single paned or double glazed units with aluminium windows will bring a number of benefits to your home that makes the initial installation costs very worthwhile. 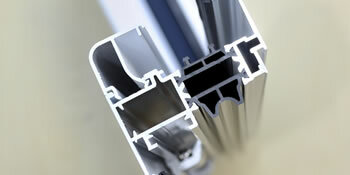 Aluminium double glazing works by restricting heat loss with an efficient gas spacer separating two panes of glass. Usually Argon, the spacer is motionless and prevents heat from passing through. With aluminium window frames you’ll have the durability and resistance that will help your installation to last for decades without any maintenance. Slash noise pollution that’s allowed into your home. In the same manner that heat is retained in the property, sound waves are kept out. This gives you peace and quiet all year round and will be especially handy if you live in a busy area. Why aluminium double glazing windows? Aluminium’s main advantage is its natural strength. It is easily the strongest of the materials available for double glazing and can handle strong wind loads whilst being resistant to heavy impacts. With aluminium you won’t have to worry about maintenance either and there are plenty of colours available to set your home apart from the crowd. The below information shows the energy performance of homes in Uk. Energy ratings range from A to G, with A being the most energy efficient and G being the least efficient. The Energy Performance Certificate (EPC) rating factors heavily if you want to sell your home, as prospective buyers will see what amount they're probably going to be spending on their heating expenses. House improvements such as insulation assist to significantly boost a home's EPC rating. There are many types of home in the United Kingdom and the info below shows the type of housing in Uk. Over the country the most common housing types are typically semi-detached and terraced housing, although detached homes, flats and bungalows are also available. The information beneath provides an indication to the number of homes in Uk which are central heated and non-central heated. Properties are heated by a variety of sources which reflect how expensive yearly energy bills will probably be. Types of central heating include gas, electricity, oil, solid fuel and LPG boilers. Changing the way your house is heated can see you with cheaper bills. The data underneath shows the spread of households warmed by different fuels. Throughout the United Kingdom the most frequent hands down are gas heated homes, followed by electricity and then oil. Biomass boilers are also growing in popularity, heated by renewable products like wood pellets or agricultural waste.|Properties in Britain are heated up by a range of fuels, such as gas, electricity, oil, solid fuel and LPG boilers. Each fuel has a varying cost associated with it so you can find yourself with less costly energy bills by altering how your property is heated. Even solar thermal panels are being regarded as by many people as a way to lower heating bills for the years to come.